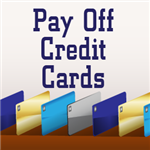 Credit cards, when used wisely, can help you earn rewards when you shop and help you keep track of your spending. But here is the brutal truth: your spending can easily get out of whack if you’re not careful. For shoppers tired of not being able to control their ballooning credit card balances, we have 23 research-proven psychological tricks to help spend less when pulling out the plastic. 1. Put a lid on what you owe. Paying off your credit card bill each month saves you a few bucks in interest, but that's not the only reason to zero it out. In a study performed at Columbia University, shoppers who carried a balance on their cards were more likely to keep charging compared to those who didn't have any credit card debt. 2. Turn down credit line increases. If you're a good customer, the credit card company might decide to up your credit line, but you could just say no. When your available credit increases, you feel less psychological pain about using your card and you end up spending more than you can afford, according to the Columbia University researchers. 3. Don't be tempted by bonuses. Getting a little something extra when you pay with credit is a nice perk, but it can backfire if you end up spending more than you normally would. Test subjects in an experiment at Carnegie Mellon University had a choice of earning a $5 gift card if they bought their lunch with cash or an $8 card if they paid with credit. The ones who charged it were most likely to spend more when there was an extra incentive to whip out their cards. 4. Weigh cost and benefits equally. If you're planning a big purchase on credit, it's easy to focus on what you're buying, but you've got to keep your eyes on the bottom line. In a study at MIT, participants were told that they'd have the chance to purchase highly coveted tickets to a sold-out sporting event. The ones told they had to use credit were willing to spend nearly twice as much on average compared to those who were told they could pay with cash. Shopping with a set idea of what you want to spend in total, instead of factoring in what things actually cost, is a surefire way to go over budget. A joint study conducted by researchers at New York University and the University of Maryland found that estimating the price of individual items instead of looking at the total bill can help you rein in your spending if you're paying with plastic. When you're buying something on credit and there's no money actually leaving your hands, it's easy to just shrug it off and worry about it later. If you're able to stop for a second and think about what the long-term cost is and how today's purchases impact tomorrow's financial outlook, it's less tempting to max out your cards. 7. Set a brisk pace. Going to the mall when you've got plenty of time on your hands may be relaxing, but it can increase the odds of charging more on your credit cards. A study from Columbia University showed that shoppers who hit the stores when they were preoccupied or pressed for time ended up spending 15% less than people who browsed the aisles at a leisurely pace. If you normally shop with children underfoot, planning a solo excursion can cut down on how much you're charging. In one survey, parents who let the munchkins tag along spent a median of $18 more per trip than those who cruised the aisles on their own. 9. Color code your shopping trip. Ever wonder why Target stores are synonymous with red or everything in Home Depot is orange? It's because retailers know that specific color schemes make you more likely to loosen up your purse strings. If you're a credit card user, steer clear of stores where blue is the dominant shade; it's been shown to increase your tendency to overspend. The next time you're out shopping and you're tempted to pick up something to get a better look, try a hands-off approach instead. In a 2003 study, researchers showed that when we handle merchandise in a store, it gives us a sense of ownership, which makes us more likely to buy. Letting things that aren't on your shopping list lie cuts down on expensive impulse buys. 11. Steer clear of rude salespeople. You'd think that interacting with a snobby salesperson would put you off spending money in a particular store, but it seems that the opposite is true. A study published last year found that when salespeople are rude, it increases your desire to spend, especially when it comes to buying luxury brands. 12. In fact, avoid salespeople altogether. Even if a salesperson is going out of their way to be friendly, you shouldn't spend too much time chatting with them. Retail workers are trained to mimic the expressions and hand movements of customers, since research has shown that it makes you more likely to buy whatever they're selling. Unless you really can't find something, you're better off saying "no thanks" when a salesperson asks if you need help. 13. Don't be seduced by smells. The next time you're browsing the aisles of your favorite store, pay attention to the different scents floating around in the air. Research has shown that retailers use smells to trigger positive associations with certain brands and that some scents, like citrus, actually encourage you to shop longer and spend more. We don't suggest wearing nose plugs, but investing in some peppermint lip balm can help to counteract all those other tempting aromas. 14. Tune out the Muzak. Just like scent has the power to shape our shopping decisions, our sense of hearing also plays a part. In one study conducted by Temple University, the presence of background music lead shoppers to spend an average of over $30 more during a trip to the mall. Interestingly, it's classical music that gets your spending juices flowing the most, so if you head into a store where Beethoven's playing overhead, you and your credit card might want to make a beeline out of there. 15. Watch out for price tricks. It seems like it would be easier for stores to round prices up to the next dollar, but there's a reason why they don't. Scientifically speaking, our brains perceive something as being more of a deal when the price ends in $0.95 or $0.99 versus a whole number. It's especially dangerous to your wallet when items are priced together for sales, like a 3 for $9.99 special. You may think you're saving a lot more by buying multiple items, but oftentimes you’re just saving a few pennies. 16. Map out the store before you shop. Stores don't lay out their merchandise randomly — everything is positioned in a way to encourage spending, including how the aisles flow. Before you go into a store with credit card in hand, think about where the items you want to buy are. That way, you're not walking aimlessly past lots of other things you don't need that would just end up in your cart. Emotions have been proven to influence spending, and when an item triggers a positive memory, you're entering a financial danger zone. In an October 2014 study, researchers determined that when we feel nostalgic about an item, we tend to value money less and spend more as a result. Separating your heartstrings from your purse strings prevents you from doing major damage to your credit card balance. 18. Don't automatically go for the smaller size. Buying things in mini-sizes makes you feel like you're not spending as much (since they're priced lower), but that's not really the case. The reality is that even if you go with smaller versions of products, it doesn't necessarily reduce your consumption of them, so you end up spending the same or more money on them in the long run. 19. Super-sized versions aren't always the best bargain either. Everyone likes getting more for their money, but looks can be deceiving. Just because that detergent bottle says you're getting 33% more doesn't make it the best deal. But we're more likely to buy products that are packaged that way even when purchasing a smaller size at a discount is less expensive. If you're on the verge of charging hundreds or thousands of dollars worth of "stuff" to your credit card, try making a fist to see if the urge passes. 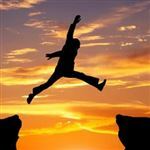 Research has linked clenching your first to a number of positive side effects, including reduced stress, improved memory and perhaps most importantly for your finances, a stronger sense of willpower. 21. Say no to freebies. Snagging a free sample of something when you're shopping seems harmless enough, but it can spell disaster for your credit card. 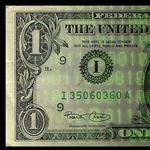 Researchers at the University of Miami determined when a free gift is offered with a purchase, you're more than twice as likely to fork over the funds, without factoring in the total price. When you're shopping for a particular item, picking it up first cuts down on the possibility of your attention being drawn to something else. In a study from Stanford University, interruptions during the decision-making process can lead you to take more risks financially, including spending more than you planned to. 23. Look beyond eye level. Items are placed the way they are on store shelves for a reason — if you get tunnel vision when you shop, you could end up charging more than you need. Statistically, you're most likely to buy items that are placed in the middle of the shelf right in your line of vision, even if they're priced higher. If you want to get the best bargains, check the upper and lower shelves first. Leave a comment about 23 Mind Tricks to Spend Less on Your Credit Card? 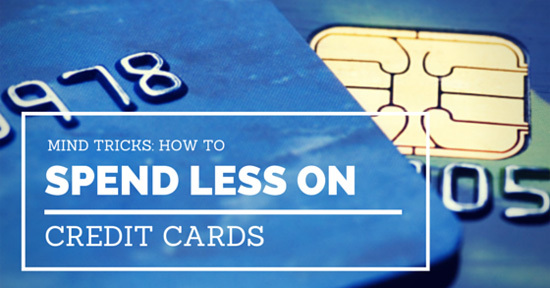 Share on Facebook "23 Mind Tricks to Spend Less on Your Credit Card"